SBI Fixed Deposit interest rate: The State Bank of India has hiked the interest rates on Fixed Deposits on some selected maturities from November 28, 2018, as per a notification released by the lender. Check the revised interest rates here. The State Bank of India (SBI) has fixed its MAB requirements according to the location of its customers account and charges them for non-maintenance of their savings accounts. SBI Fixed Deposit interest rate: Good news for all FD account holders in SBI! 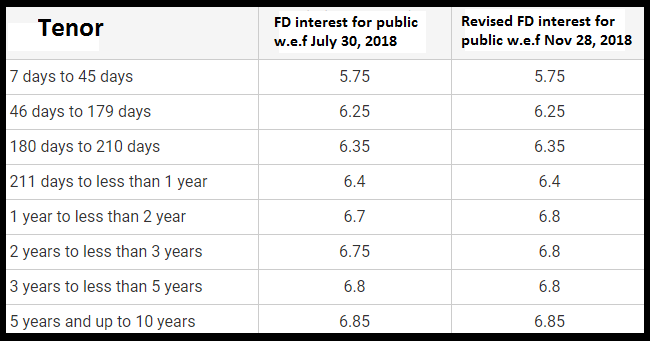 According to a statement released by the State Bank of India (SBI), which is known to be the largest lender has hiked its fixed deposit (FD) interest rates on selected maturities. The new Fixed Deposit interest rates has come to effect from today, i.e. from November 28, 2018. The notification regarding the same has been published on the official website of SBI, i.e. on sbi.co.in. The interest rates have been hiked for deposits below Rs. 1 (One) Crore. Moreover, this reform comes ahead of the monetary policy review of the Reserve Bank of India on December 5, 2018. 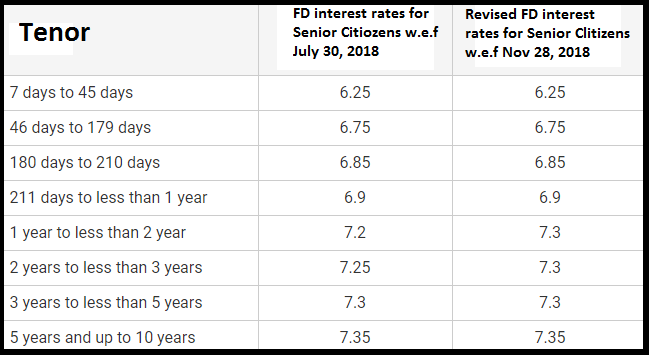 For the general public as well as for senior citizens, the interest rates have been hiked only for Fixed Deposit investments made for more than one year. That means the general public would get a hike in rates from 6.70 to 6.80 while the senior citizens would get 7.20 to 7.30 as per the new rules. Also, the interest rates payable to SBI staffs and pensioners have a difference of 1% to that of the applicable rate, as per the SBIO guidelines. Meanwhile, no changes have been made for any other maturities by the State Bank of India. 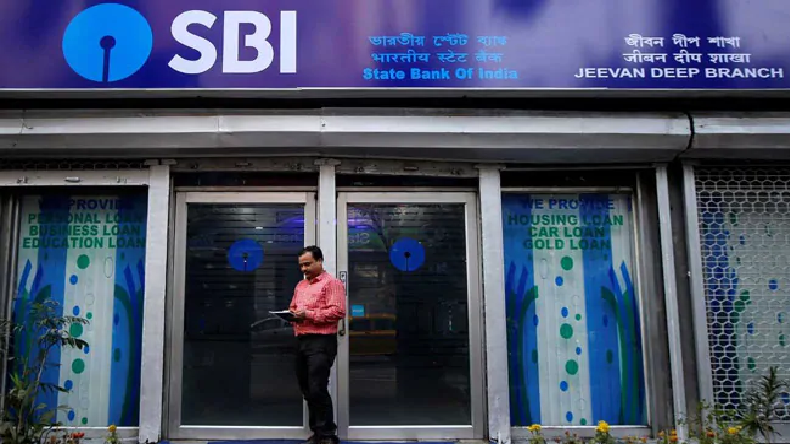 The State Bank of India (SBI) raised the interest rates on fixed deposits (FDs) amounting to Rs one crore and above as it prepares to raise the lending game after the government strengthened it with capital investment and the trauma of bad loans eased. SBI follows private sector lender Axis Bank, which raised deposit rates marginally last month in the first indication of rates hardening in the system as economic activity accelerates.